there are costs to unsustainable business practices. Diver’s “Sphere” technology filters the fiction and fortifies the facts regarding carbon emission reduction management initiatives and progress in a government, corporation and facility. This unique “Sphere” approach functions without the need for a database layer, thus saving time and resources associated with deploying a data warehouse or additional databases often required by other reporting and analytics tools. The analysis capabilities that the data Model provides leads to improved decision making that positively impacts an organization’s carbon reduction management performance. The Carbon Emission Reduction Management Application based on the Diver Solution™, provides you with a robust analytical tool that allows you to navigate freely to any point in your data eliminating data hierarchies and other navigational constraints. This application features dynamic and interactive Dash Boards and Key Performance Indicators (KPI) with “living” advanced analytics and data visualization as you click on the KPI of interest and move through multi-dimensions of data to absolute detail. 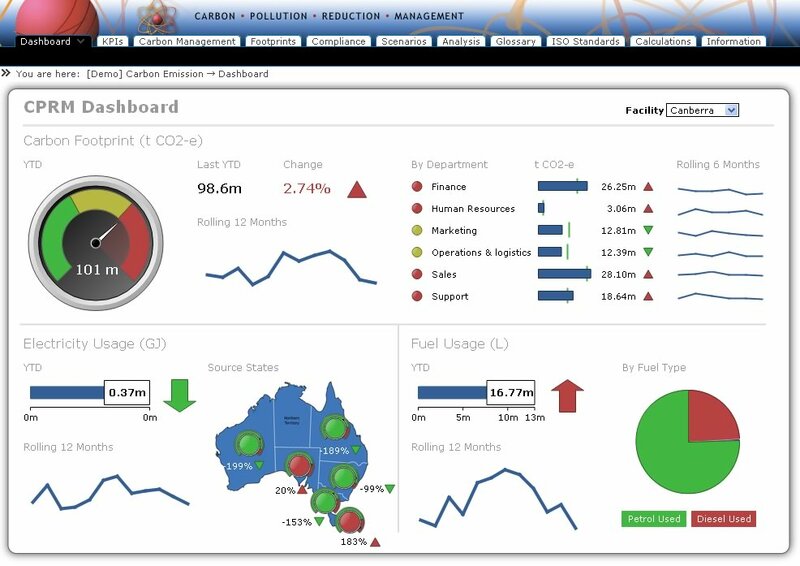 If you are interested in implementing a complete Business Intelligence application for Carbon Pollution Reduction Management, with dashboards and savings scenarios, get in touch with us for a demo.